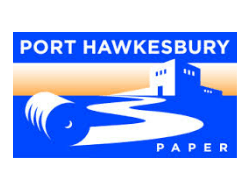 Port Hawkesbury Paper (PHP), the largest industrial employer in Cape Breton, produces supercalendered paper and manages over 500,000 hectares of Crown land. Through its direct and spinoff impacts, the mill is characterized as the economic mainstay of Inverness, Richmond and Guysborough counties, with its economic influence felt as far away as southwest Nova Scotia. In 2012, the mill at Port Hawkesbury was purchased by Stern Partners and reopened as Port Hawkesbury Paper. The SC machine (PM2) is capable of producing 400,000 tons of SCA++, SCA+, SCA and SCB papers for use in retail inserts, magazines and catalogs and represents about 20% of the North American capacity for SC paper. The SC machine at Port Hawkesbury Paper is capable of delivering the highest quality and most efficient paper production available. Modern equipment, in combination with effective management and a highly skilled workforce, make the mill one of the premier paper manufacturers in the world.